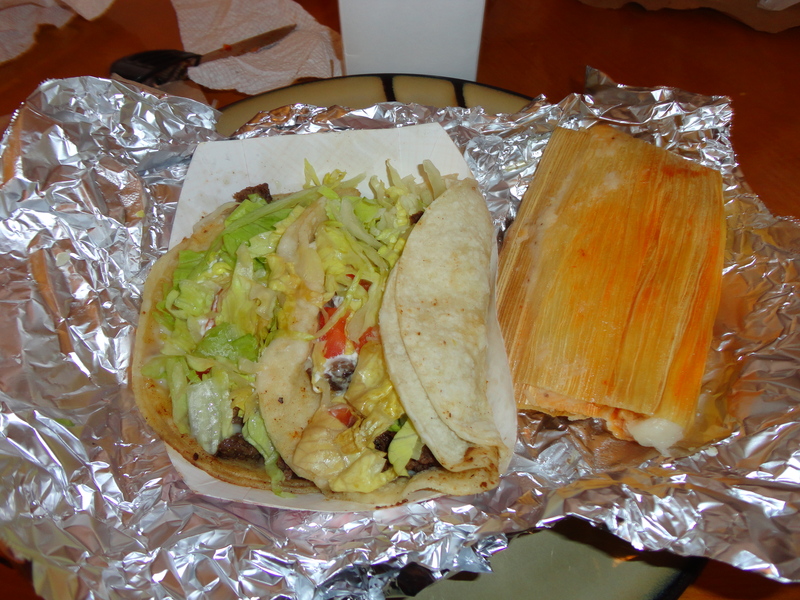 West of Chicago is an authentic Mexican grill that offers tacos at a great price. When I walked up to this restaurant I thought it was a pizza place. I then found out this building is a two part building. 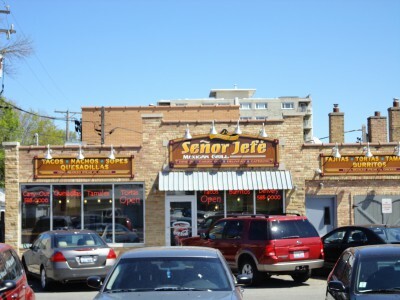 Part pizza spot and part Mexican grill. I wasn’t caring about the pizza so went around the corner for the Mexican grill instead. The place is very small but the smells of spices filled my nose and I knew I was in the right place. I ordered 2 tacos with steak(carne asada), and a large horchata and a tamale. I ordered the food to go and listened along to the wonderful mariachi music. I got back to my cousins and opened up the bags. 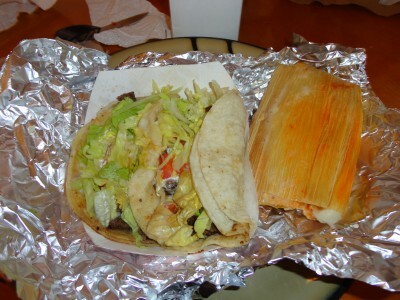 The tacos looked and smelled wonderful and the tamale was huge! The tacos also came with hot and mild sauce and sour cream. The tacos were delicious and the spices they used on the asada gave it a great touch. The tacos had lettuce, tomato and cheese on them and the sour cream and mild sauce made it extra tasty. When getting tacos you should always choose corn tortillas if the option is there. The tamale was made authentic wrapped in two corn husks. 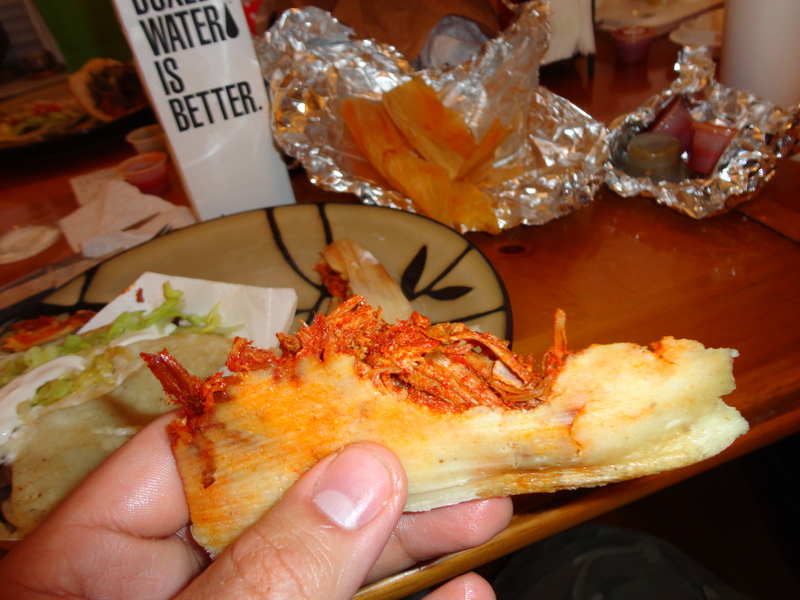 Normally my family’s tamales are only the size of one corn husk so this was a jumbo tamale. The pork inside was made with a red sauce which bursted of spice and flavor. The only thing I did not like about this place was the horchata. I feel it was made with real milk and standard horchata is made with rice milk. The first couple drinks got my throat tight due to me being allergic to milk. All in all I recommend this place to anyone who wants great carne asada tacos with great sides at a great price. The total for my bill was around 7 dollars.